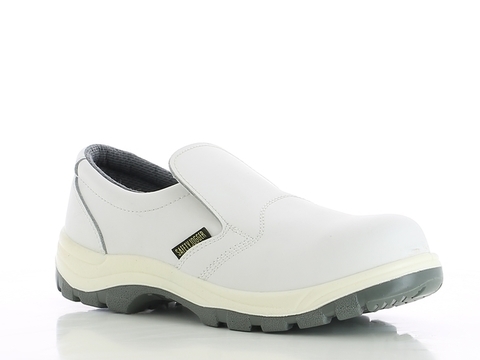 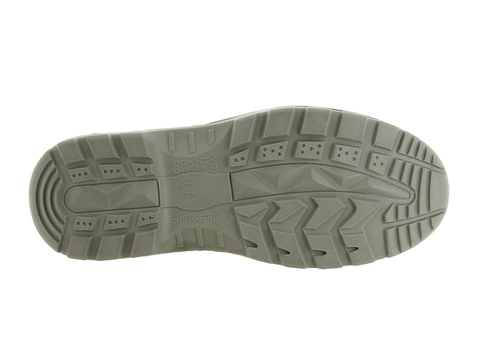 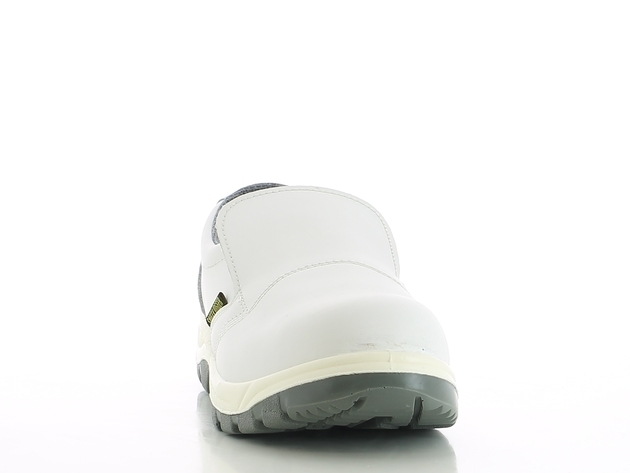 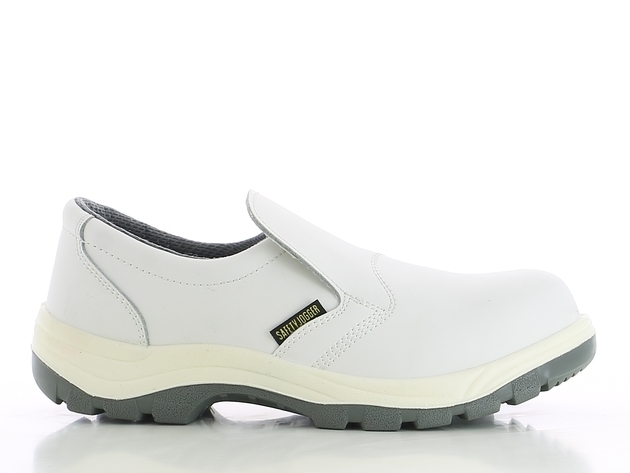 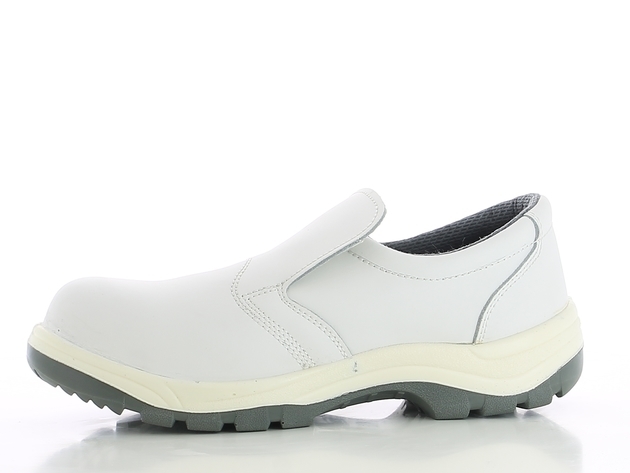 Model description: Leather shoe, water repellent, white, cambrella lining,antistatic, shock proof, anti slip, steel toe,S2, PU/PU sole. Application areas: Catering, medical personnel. 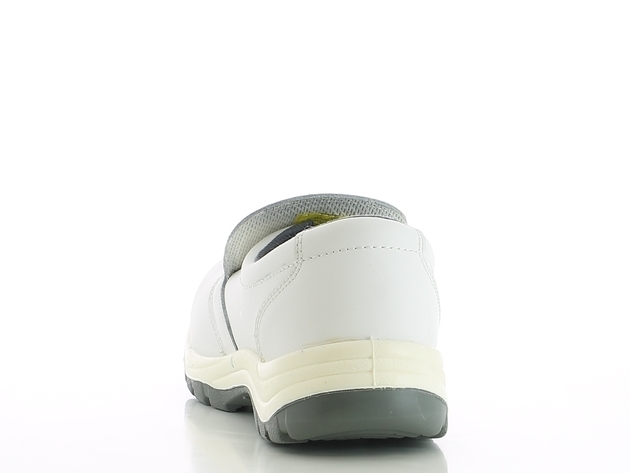 Precaution and maintenance of the shoe: To extend the life of your shoes, we recommend to clean them regularly and to protect them with adequate products.Do not dry your shoes on a radiator, nor near by a heat source.